ActBlue is an online service that allows people to make donations to the political campaigns of Democractic candidates across the country. 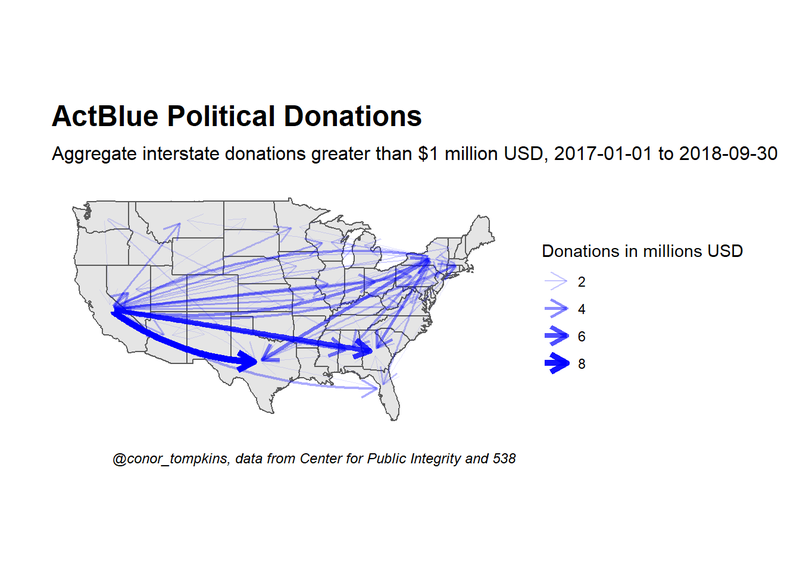 This post uses graph theory to analyze how political donations moved across states. 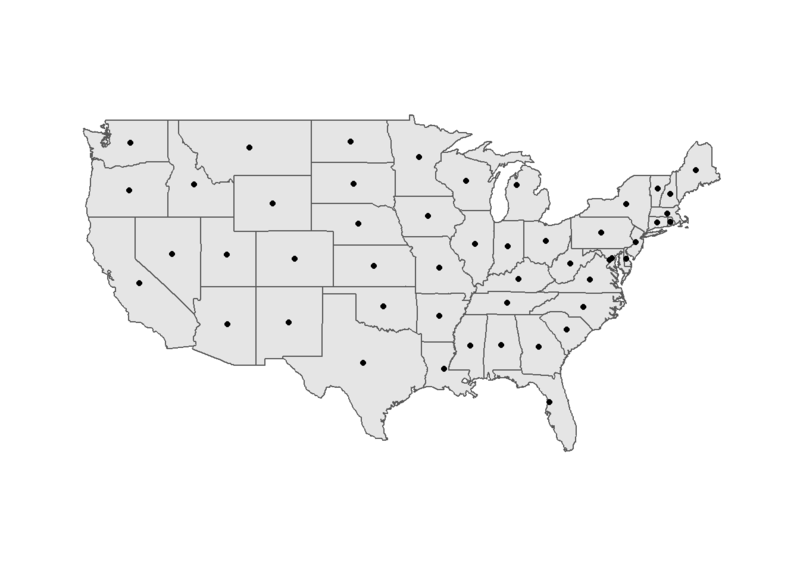 This code pulls the boundary polygons for the 48 continental U.S. states and the District of Columbia. This code finds the center of each state, which will act as the nodes for the network graph. I used this website to get the abbreviations for each state. This pulls the ActBlue data from the Center of Public Integrity GitHub repo. This joins the boundary data with the state abbreviations. This code joins the boundary data with the ActBlue data and excludes donations to and from non-continental U.S. states/territories. This plot shows that the boundary shapes and centroids are correct. This code cleans up the ActBlue data and removes intrastate donations. 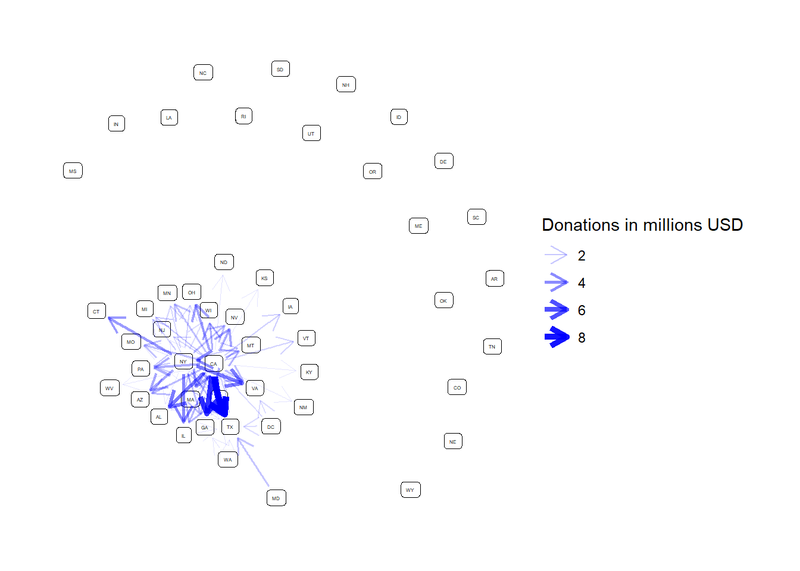 This is how the data looks when graphed as a typical network graph. The nodes (states) are not positioned geographically, which makes it difficult to understand. Aggregate donations less than $1,000,000 are excluded. This code creates the node positions for the network graph. The centroid of each state will be used as the node for that state. This code creates the node layout the graph will use and merges the network data with the layout. This shows all the donations from California. Note the different scale of funds. 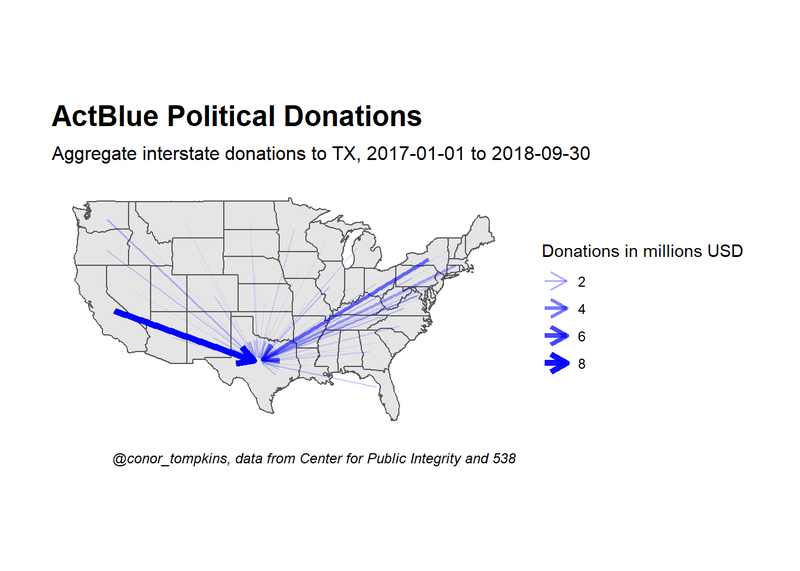 This shows the donations to candidates in Texas. Note the different scale of funds.